Pakistani Muslims call for the hanging of Asia Bibi, a Christian woman on death row for blasphemy since 2010, at a protest in Karachi on 13 October 2016. That was the day Pakistan’s Supreme Court delayed her appeal after one of the judges stepped down. A 16-year-old Pakistani Christian boy has been charged with blasphemy for talking with a colleague about his belief in Jesus, the second such incident in a month. Shahzad Masih, 16, a cleaner at a hospital in the city of Dinga (near the religiously conservative city of Gujrat), was arrested on 13 July after his colleague, Ishtiaq Ahmed Jalali, accused him of insulting Islam’s prophet Muhammad, a crime punishable with death in Pakistan. A month earlier, on 15 June, Ashfaq Masih, 28, was arrested in the nearby city of Lahore for saying he believed Jesus to be the final prophet. The latest incident took place at the Shameem Riaz Polyclinic. Jalali, who works at the hospital pharmacy, is a member of Tehreek-e-Tahfuz-e-Islam Pakistan, an organisation that strives to protect the name and honour of Muhammad. It belongs to the Barelvi school of Islamic thought, which is considered “moderate” and has even faced criticism from other Muslims for its “polytheism” of worshipping at shrines. 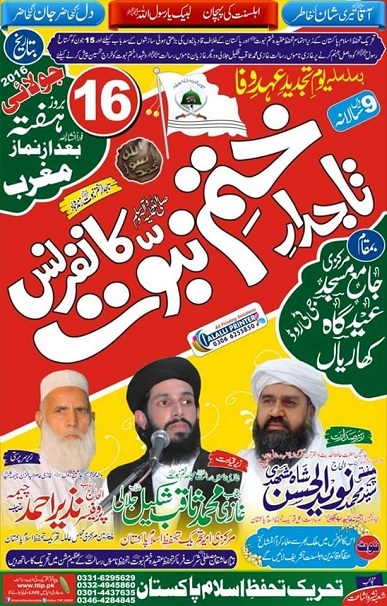 Barelvis are known for the special respect they afford to Muhammad – more so than any other Islamic school of thought – and are chief supporters of Pakistan’s blasphemy laws. Shahzad Masih’s father, Shafaqat, who works as a labourer, told World Watch Monitor that the argument related to who Christians worship. “My son told him that we follow Jesus and then their discussion became sour, at which point a doctor intervened and calmed them down,” he said. The police complaint was lodged by another man, Nadeem Ahmed, who claims to have called Shahzad Masih from his mobile phone repair shop, which is beside the hospital, to ask him about what he’d said. In his report, Ahmed states that Masih repeated his “abusive words” against Muhammad and then fled. Police reports in Pakistan, called First Information Reports (FIR), are often key in court cases, though the veracity of the claims in such reports is often the subject of contention. Shafaqat Masih says that two days prior to the lodging of the FIR, his son’s colleague, Ishtiaq Jalali, told his son that Christians worship at the shrines of Muslim sages. “My son told him that he didn’t know about this and he would ask me about it,” Shafaqat Masih said. “Then on 13 July, I was at work when he called me at around 4pm. He had returned from hospital but they asked him to come to the mobile phone repair shop, which is in front of the hospital. “I told him that it would take me some time to get there, so he should call his uncle, Rafaqat, whom I also called on the phone to go to him. I arrived at around 7pm at the hospital, where they all had gathered. We tried to intervene, but they did not let us talk. Then they told us that they did not want to make the matter public and wanted to settle it amicably. At the same time, they kept calling others to join them and a large number of clerics gathered while we three were all alone [Shahzad, his father and uncle]. “One of the clerics told me that the head of a nearby madrassah had called them to the madrassah to settle the matter, after which the entire mob went there. The police chief, Shahbaz Hinjra, told a local newspaper that Masih was in their custody and that they were investigating the matter. Former Punjab parliamentarian Tahir Naveed Chaudhry, leader of the largest Christian political party, told World Watch Monitor that he had personally investigated the matter and found that initial argument had centred over Shahzad Masih’s colleague’s attempts to convert him to Islam. “When our people try to defend themselves and their faith then often it becomes an issue and later such cases are lodged,” he said. Pakistani Muslims line up to visit the tomb of Mumtaz Qadri on the outskirts of Islamabad on 1 March 2017. Qadri was hanged in February 2016 for the murder of former Punjab Governor Salmaan Taseer, who criticised Pakistan’s blasphemy laws and defended Asia Bibi, a Christian woman on death row for blasphemy since 2010. Masih’s father says he and his family have been on the run ever since. “We don’t even know what to eat and where to live,” he said. 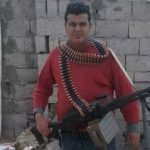 His uncle, Rafaqat, told World Watch Monitor that there are about 25 Christian families in the area and no such incident had ever taken place before. The Tehreek-e-Tahfuz-e-Islam Pakistan website claims that no suspect has yet been awarded the death penalty under Pakistan’s blasphemy laws, even though the Christian woman Asia Bibi has been on death row for blasphemy since 2010. The website also says that liberal Muslims want to amend the current blasphemy law and must be stopped – a key reason for the organisation’s founding 10 years ago. In April, a Muslim student was beaten to death in the city of Mardan following an accusation of blasphemy. 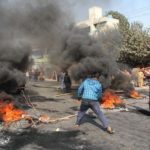 Several blasphemy cases have been registered before in Gujrat, one of the most conservative areas of the Punjab province. In August 2015, 15 Christians were accused of blasphemy after they used the word “apostle” to describe a pastor who had died years before. Then in July 2016, a Christian man was accused of blasphemy after a religious argument on the messaging service WhatsApp. Both cases are still pending in the court. Aasiya Noreen, commonly known as Asia Bibi, received the death penalty in 2010 after she allegedly made derogatory comments about Islam’s prophet Muhammad during an argument with a Muslim woman. While the two women were working together, the Muslim woman had refused water from Bibi on the grounds that it was “unclean” because it had been handled by a Christian. In the High Court appeal hearing in October 2014, Bibi’s lawyer, Naeem Shakir, argued that the main complainant in the case, the local Muslim cleric Mohamed Salaam, had not heard Bibi blaspheme, and that his original complaint had been lodged five days after the women’s quarrel. Shakir argued in his appeal that during the trial the only reason given for this delay was “deliberation and consultation”, and said that Salaam had acknowledged this in court. Salaam was filmed by an international film crew who made a film about Bibi in May/June 2014, saying that it is his religious obligation to defend the dignity of Muhammad and that is why he decided to be a witness before the court. He only heard Bibi allegedly confess to blasphemy when she had been brought before a village council several days after the quarrel. Her other main accuser, Mohamed Imran, the owner of the field in which she worked, had not been present at the time of the quarrel either; he was away from the village. Bibi’s case attracted widespread global attention, much of it critical of Pakistan’s anti-blasphemy laws, which critics contend are routinely abused as a pretext to settle personal scores. Two prominent Pakistani politicians were assassinated in 2010 after they spoke publicly in Bibi’s defence.